I am just home from our church’s men’s retreat. In 20 years of attending Grace Chapel, I've been able to attend 16 of the 17 such retreats held over that span. Retreats offer time away for the men to receive teaching on a topic pertinent to guys and build on our relationships with each other. Titus was a Gentile convert who partnered with Paul to spread the gospel. After the two planted a church in Crete, Titus stayed to get the new church in order as Paul headed off to take the Gospel elsewhere. Paul's letter to Titus offers instructions along the lines of furthering faith and building knowledge of the truth, two essential steps to getting life in order. In chapter 2, Paul’s focuses on certain groups in the church, beginning with “the older men.” (v2). Subsequent instructions are then offered to “older woman” (v3), younger women (v4-5), young men (v6-8) and slaves (v 9-10). Leading with older men is key, noted Kevin. Men who learn and practice sound doctrine often anchor strong families that in turn provide a solid foundation for churches. Faith practice undergirded by sound doctrine produces godliness in people. Noted Kevin, godly people honor God while ungodly people do not. Tracking through the brief Titus letter all weekend, Kevin offered many great lessons and life applications for us men to draw from, such as: practice godliness and cut out ungodliness. I was fortunate to be raised by a godly father whose faith practice anchored our family. Women of faith are often instrumental in the faith of their children but too often, men are missing from the equation. That men of faith support both their wives and children in faith was one of Pastor Harbin’s points. Although my dad didn’t always see my faith emerging along the line of his preference, I never hesitated to let him know that the faith he and mom planted in me was what took root in my late 20’s. In the context of a men’s fellowship I joined in 1983, I answered Jesus’ call to follow him. In 1997, this men’s retreat tradition of our church was instrumental in my decision to bring my family to Grace Chapel where I and my family have been surrounded with solid ybelievers ever since. Our church’s strongest families are lead by strongly faith-filled men. 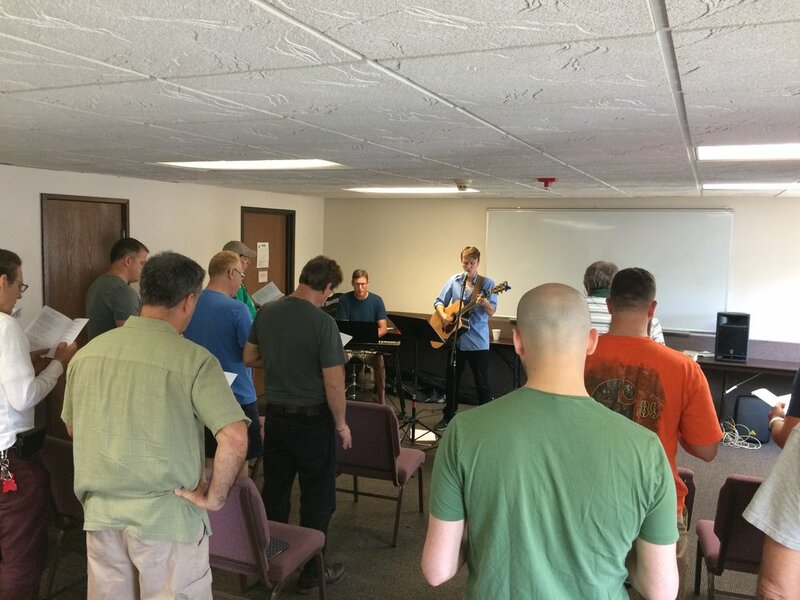 As I looked around the room at this year’s retreat, I saw many of the men who are instrumental in my faith walk right now, including elders I am presently serving with to lead our church. Thanks to each of them* for undergirding my faith walk and for making time this year to join me on this retreat weekend. Thank you God for the godly men you’ve placed in my life.